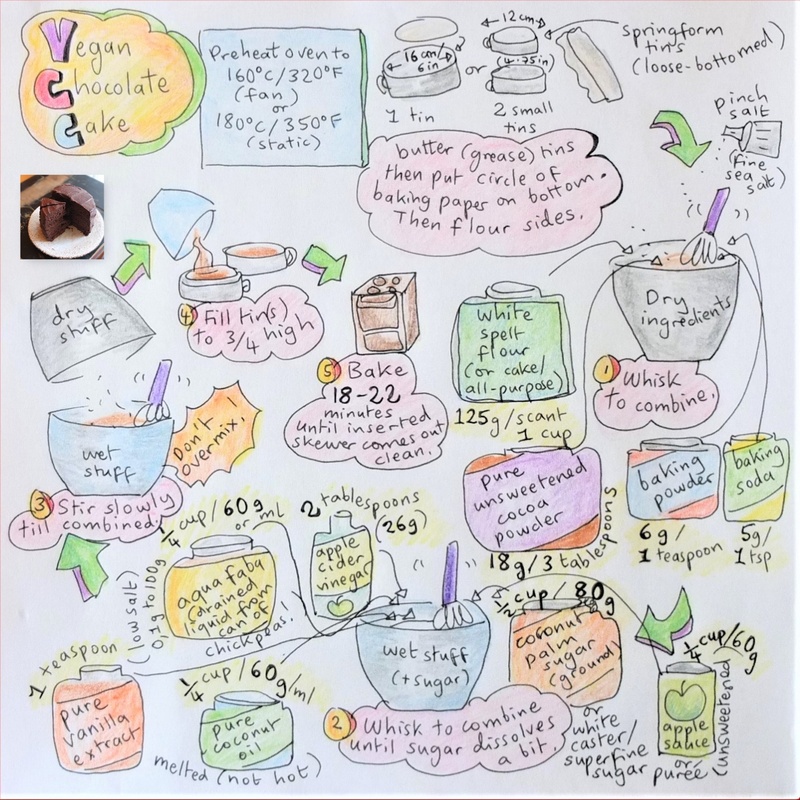 Try this cake that will surprise everyone with its yumminess! It was first made for a post-climbing traditional calçots barbecue here in Catalunya (will tell you about calçots later) as one of the climbers going was vegan. Funnily enough she couldn’t make it in the end but all we non-vegans loved it! lol. 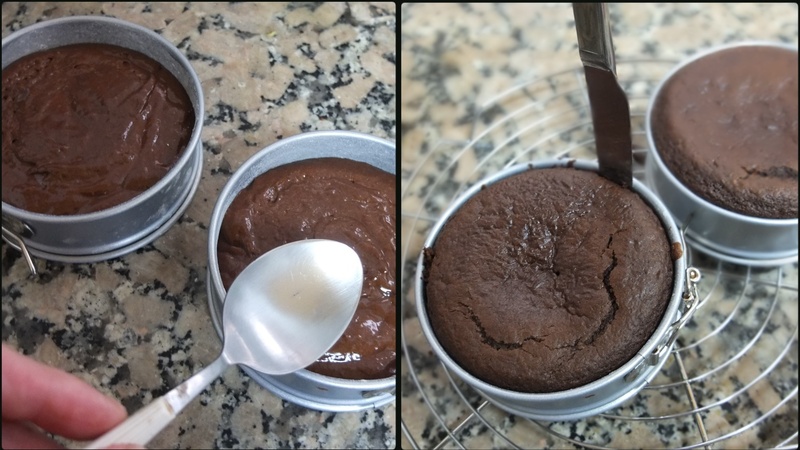 People were scraping the tupperware to get the last of the frosting made with pure unsweetened cocoa, vegan olive oil margarine and icing sugar (you could find your own healthier version). 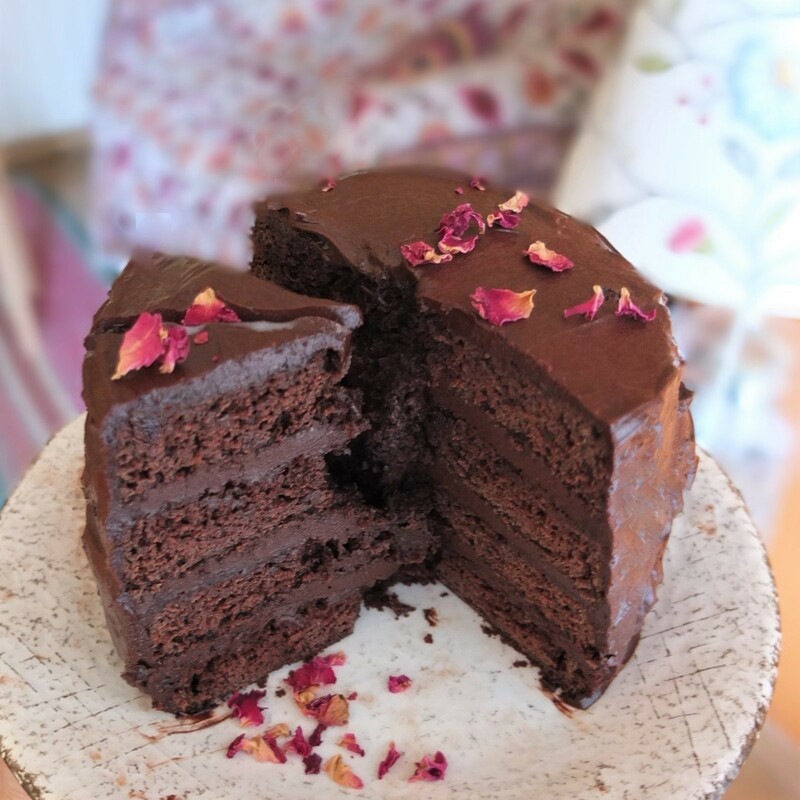 The cake is moist, gooey and rich yet healthier with fine white spelt flour and coconut palm sugar though you can use standard flour and caster sugar. And it’s one of those easy recipes where you just mix everything together in a bowl. Hurray! I’m not actually vegan but love it. 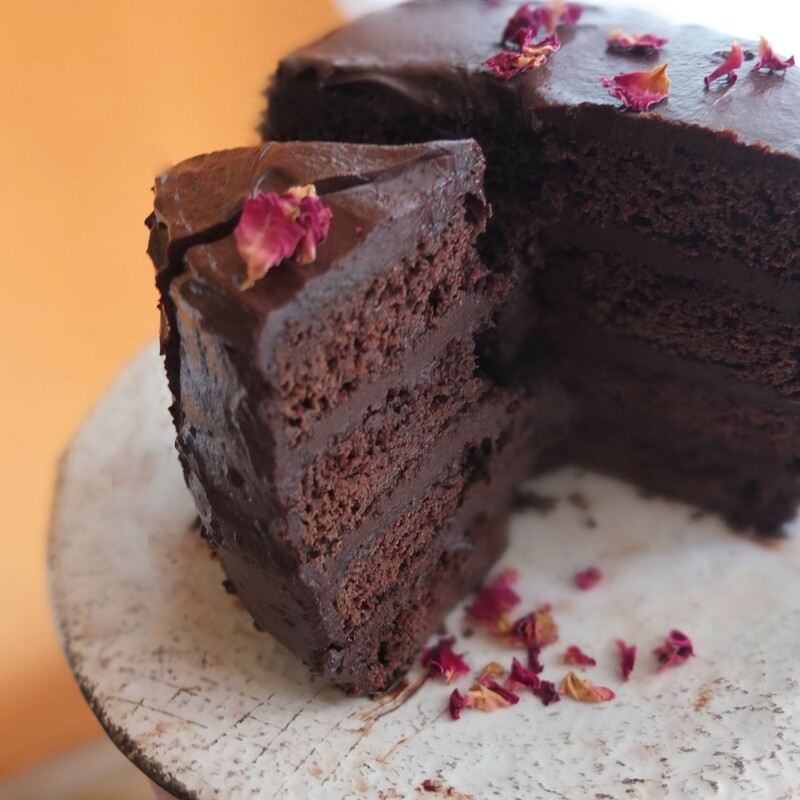 For an absolutely delicious experiment do give this vegan chocolate layer cake a go! The first prototype was a 2-layer cake made with plain flour and caster sugar. It was easy to assemble and very popular at the calçots barbecue – gone in a flash! Choose the version you prefer depending on your preference and cake tins. 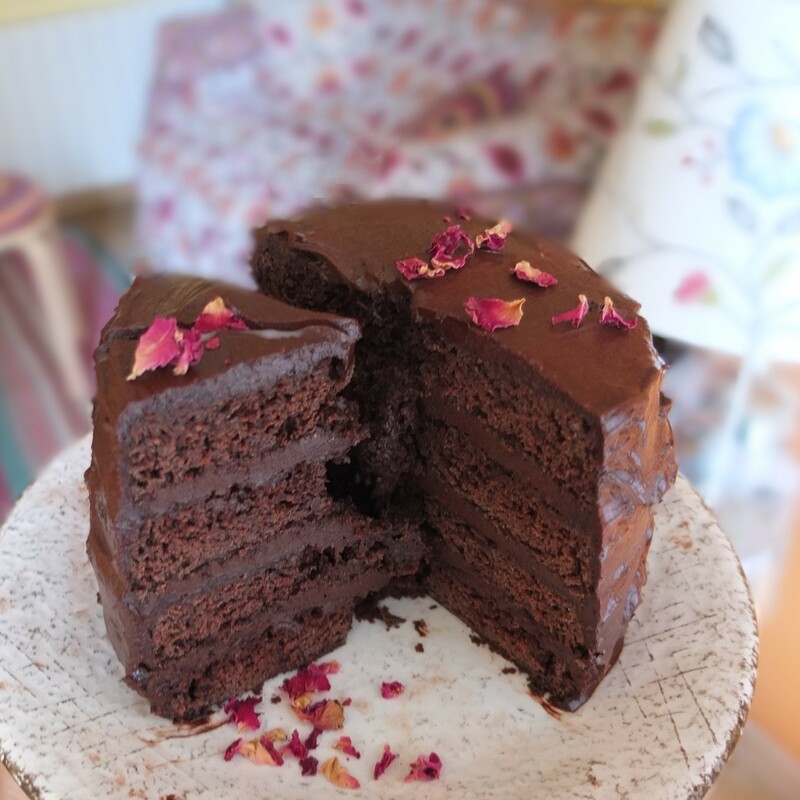 The frosting was adapted from the minimalist baker’s One bowl vegan chocolate cake and the sponge based on Pure Ella’s Lavender chocolate aquafaba cake. 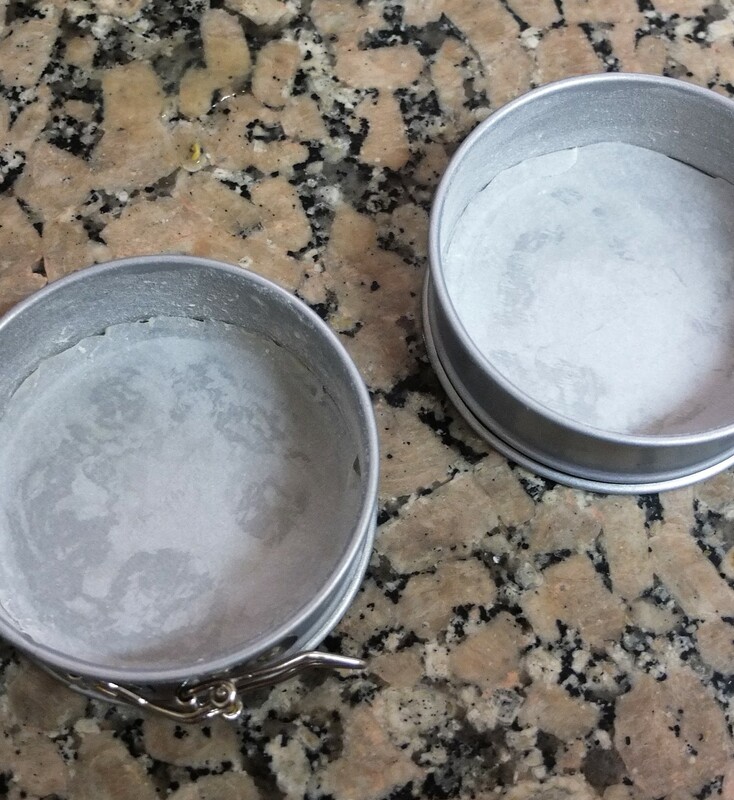 butter one 16cm/6in diametre round loose-bottomed cake tin or two mini 12cm/4.75in diametre tins. Place circles of greaseproof paper at the bottom and flour the sides. Whisk the dry ingredients in a medium bowl to combine. 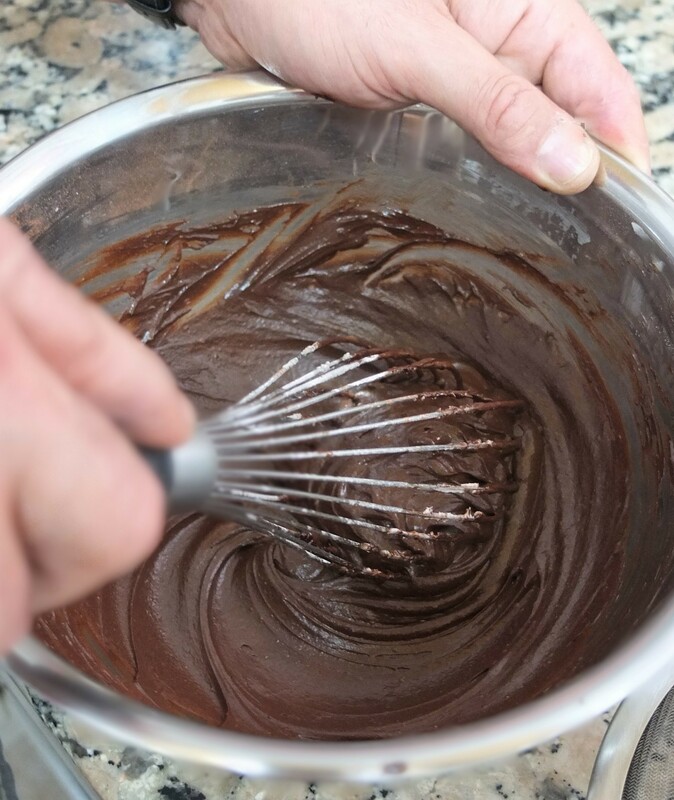 Whisk the wet ingredients and sugar together in a separate big bowl until the sugar dissolves. 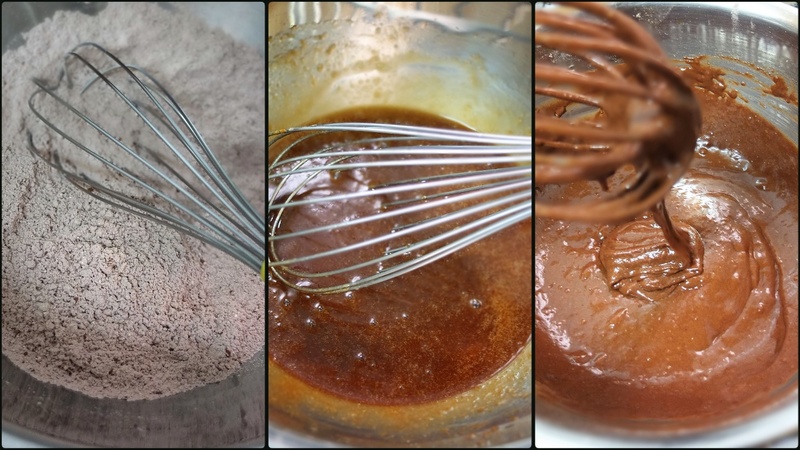 Slowly stir the dry ingredients into the wet ingredients with the whisk until just combined. Don’t overwork. If the batter looks a bit thick you can slowly whisk in a tablespoon or so of almond milk. Pour into tins to fill to just under 3/4 full. Bake in the preheated oven for about 18 to 22 minutes until a skewer inserted in the middle comes out clean, and when you press gently with the tip of your finger the top springs back a little. Let the sponge(s) cool in the tin for 5 mins then use a butter knife to go around the sides and loosen them from the tin. Unmould and leave to cool completely on a wire rack before cutting and filling. Whisk everything in a big bowl until combined, creamy and smooth. Add more almond milk or sugar if necessary to get the right sweetness and consistency. With your finger mark a thin vertical line of flour or icing sugar up the side of the cake. Find 2 books (or DVDs) of equal thickness that come up to half-way up your cake and place on each side of the cake. Rest a long serrated bread knife on the two books and see-saw up and down carefully to cut the cake in half (keep the knife resting on the 2 books as you move across). Below is an example with my coffee and walnut sponge. Put the sponges back together so the vertical line of flour or icing sugar joins as it did originally. Use a piping bag and small/medium plain nozzle to make even concentric circles with the frosting to fill the cake. For a 16cm/8in cake the middle layer of frosting is quite thick then you cover the cake in the remaining frosting. 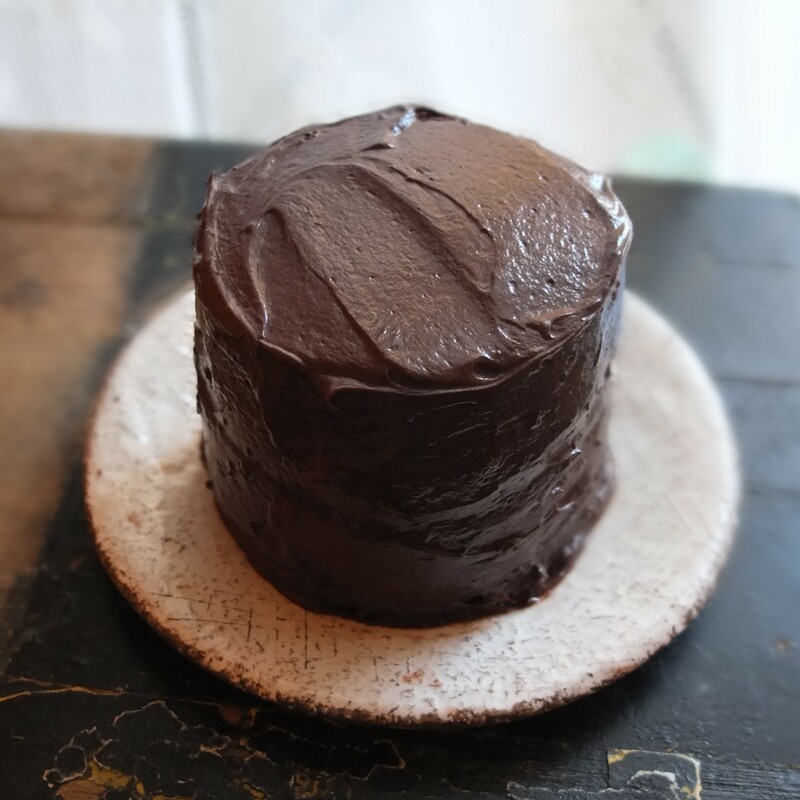 For two 12cm/4.75in cakes, make the frosting in between the layers quite thin so you have enough left to cover the cake. 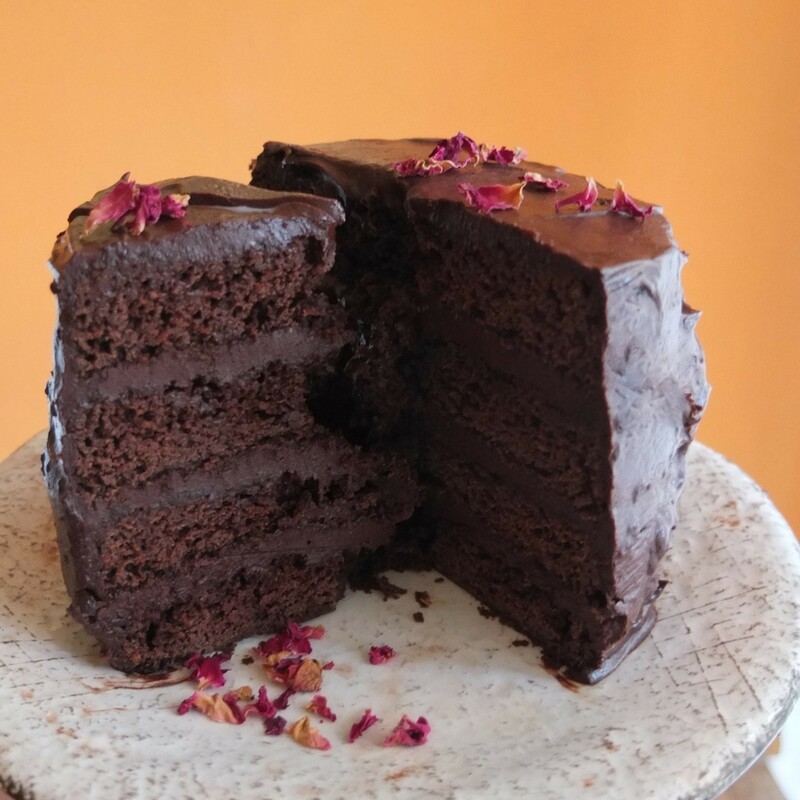 You can smooth the frosting on the outside of the cake with an offset palet knife. 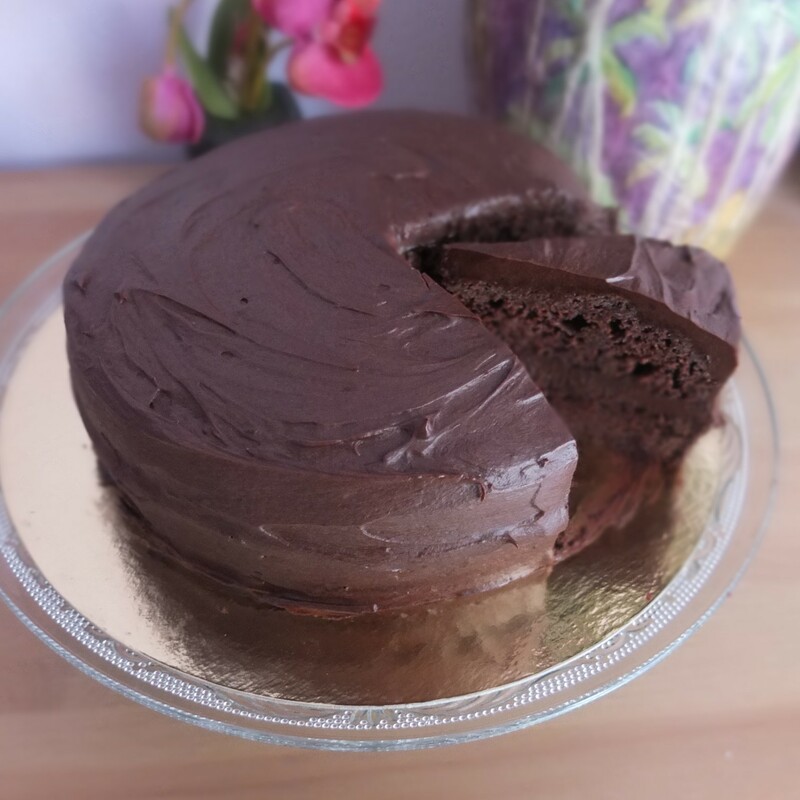 If you want nice smooth slices, refrigerate your cake for 1 or 2 hours before cutting. If you can’t wait then just eat some less smooth slices! 🙂 It keeps in the fridge and is best the first two days but still nice after up to 4 or 5 days. When you take it out of the fridge let the cut slices come back to room temperature for 20-30 minutes before eating. A calçotada is an annual gastronomic celebration here in Catalunya that takes place between November and April. It’s a barbecue where you eat calçots, young green onions or scallions that have been cooked over the fire in newspaper until they’re black on the outside. Everyone puts on a bib and starts peeling the calçots with their bare hands then eating them dipped in the traditional romesco sauce made of ground nuts, olive oil, roasted garlic, peppers and other stuff. Apparently calçots have only existed since the end of the 19th century, when a farmer burned some on a fire by accident then found they were yummy! 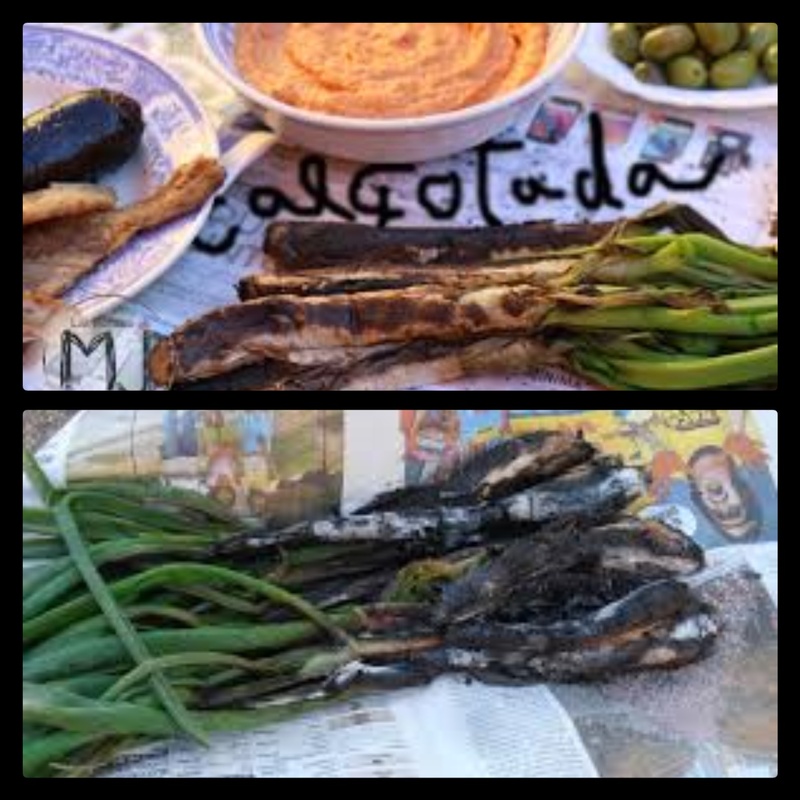 The calçotada season is now hugely popular and many people in Catalunya are crazy about them. I’m not a keen onion person but find calçots very tender, yummy and easy to digest. Plus it’s so much fun getting dirty, with totally blackened hands and a pretty messy face. I’m so sorry I didn’t take photos to show you because I was too busy eating. Lol. I’ll try to get some next time but here are some I found on google images. This looks really yummy! Can’t wait to make it! Sure! I have not hot round to baking to yet, but will update you on when I do! This one looks too delicious. I just stared at the pictures and that was enough for tonight’s dessert!